A day off from practice today, a time to heal the player tweaks and think I will head off to a very interesting D-1 game; CS Long Beach at CS Northridge. 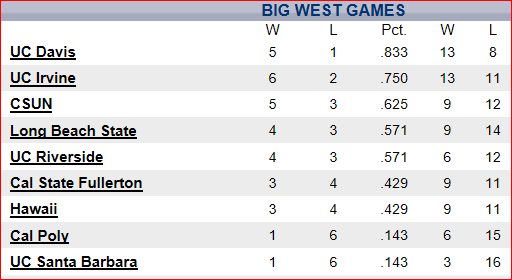 With Northridge in third place and Long Beach one game behind in fourth place. Should be a great game. Last time I went to a Northridge game, they gave me a $38.00 parking ticket for no good reason and wouldn’t change it. Quit complaining Mel. Enjoy the game. Three or Dunk Baby!!!! Future of Basketball?